We’ve decided to start a series of content to answer basic questions you may have regarding Google Analytics. These are readily available but sometimes over complicated and we’re experts at both analytics and making things simple. Hopefully, these blog posts will help clarify any questions you may have. Pros and cons of using Google Analytics. 1. When to use Analytics? These days, everything on the internet is connected. Have you ever questioned how websites know your location and redirect you to the page of that specific location? Or have you ever seen those ads that appear all the time after you visit a specific website? That’s due to cookies, which are a set of parameters that get collected and interpreted. They are part of Digital Analytics or Google Analytics, which is a set of measurements that helps you in understanding which people you reach with your website and how your website performs. By performance, we refer to who is visiting your website, how someone interacts with your website, the decisions they take following those interactions and much more. Ultimately, you want to use Google Analytics whether you own a website, you’re an online shop or if you are a marketer, in order to increase the marketing and sales efforts of the platforms you are using. 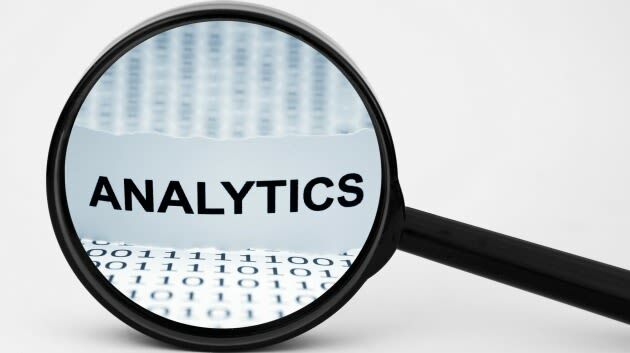 If you are still not convinced that Analytics is a must have for an online property, check this article from AnalyticsNinja and you’ll get an even deeper dive into why you should you use Analytics. Google Analytics is one of the most known and used tools to track Digital Analytics. There are definitely a lot of pros to using it but there are also some drawbacks. It’s free of charge so everyone can use it. There’s a Google Analytics Academy, where you can get in-depth information and get educated about how to use it. You can connect your Google Analytics account with your AdWords account. You can also collect data from different platforms and sources. You can create custom goals and you can also track your ecommerce platform. You can create custom reports based on your needs. This way you can track specific information depending on your industry. In order to understand all the intricacies, you need to learn. The issue with that is that the information is sometimes hard to find, may be confusing, and overwhelming. The academy is also quite time-consuming so if you’re on a time frame, it my not be feasible. The overall feel of the platform might also be a little bit overwhelming. There are too many dashboards and too many things to look at. The free version of Google Analytics suit almost anyone, but if your traffic is high and you’d like to upgrade to Premium, the price is $150,000. Another great article on this matter is written by the guys at Eethuu. Hopefully, this has helped give you more insights into Google Analytics! If you’d like more information or have any questions, get in touch. Check out Part 2(What is the bounce rate in Google Analytics) of the series!